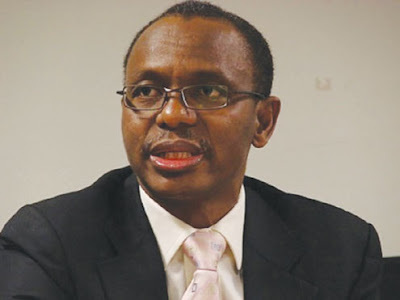 Governor Nasir El-Rufa’i of Kaduna State, says his administration has cut down overhead costs by 60 per cent as part of measures to rescue the state from its precarious financial situation. El-Rufa’i, in a broadcast to the people of the state on Wednesday night, said that the state was broke and had a debt burden of more than N74.297 billion, comprising N28.840 billion domestic and N45.44 billion foreign debts. He said that the administration had also taken radical steps to reduce costs of governance, shore up its internal revenue and block all revenue leakages. “It was obvious that running Kaduna the old way is a recipe for disaster. “One of the steps we took was to cut overheads spending by 60 per cent. I therefore directed the state accountant general to release only 40 per cent of budgeted overheads as we strive to improve liquidity and prioritise spending for public goods. “However, our efforts in this regard are not on the expenditure side alone. As we cut costs, plug leakages and reduce wastes, we need to grow our revenues and have more realistic budgeting in the state. The governor said that the reduction of ministries from 19 to 13 and the 50 per cent salary cut for himself and the deputy governor were also targeted at reducing the cost of governance. He emphasised that the administration would no longer spend money on gifts, feeding and pilgrimages. “In 2014, over 2,000 pilgrims were sponsored to the Hajj by the Kaduna State Government and the 23 local government areas. Out of the 810 Christian pilgrims, 800 were sponsored by the same governments. El-Rufa’i said that N120 million was saved from salaries paid to ghost workers after the biometric verification of civil servants conducted by the administration, adding that those involved in the fraud would be prosecuted. The governor said, henceforth, the administration would adopt the zero-based budgeting system. “This means that every expenditure item will have to be justified both in terms of its necessity, cost and availability of funds vis-à-vis other competing needs before it can be included in the state budget. On tax reforms, El-Rufa’i said that the government was studying all options to improve its internally generated revenue and reduce dependence on federal allocations. He said that their target was to generate IGR exceeding what the government would receive monthly from the Federation Account.